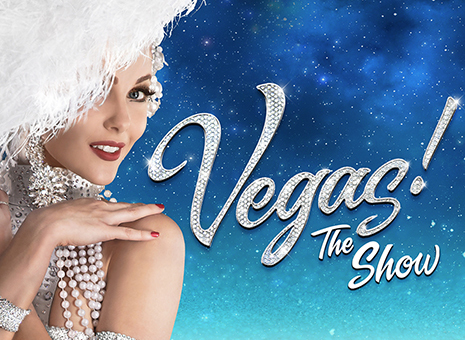 The attention to re-creating that classic Las Vegas feel is evident as you see all of the lights, hear all of the sounds and watch as beautiful showgirls grace the stage. Sensational dance numbers are sprinkled throughout the performance showcasing the evolution of an art that was not too often featured in the early days. There is nothing quite like a spectacular production in Vegas. Voted best show in Las Vegas year after year, come experience the story of the most exciting headliners that helped to shape the landscape of Vegas entertainment. VEGAS! the Show features the hits of "The Rat pack", Elvis and more all backed by a classic big band orchestra to help you relive old time Vegas with a modern twist! Having won "Best Resident Show" of 2012 by BroadwayWorld.com, you can relive some of the greatest moments in Vegas stage history with one of the best shows in town! Featuring a wide array of Broadway Stars and some of the world's best dancers, VEGAS! the Show is sure to please any audience.